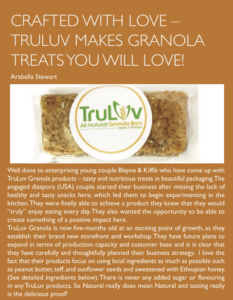 Made with oats, teff, and safflower seeds, TruLuv Granola is a nutritious and delicious on-the- go snack that contains no added sugar or artificial flavoring, and is sweetened with Ethiopian honey. TruLuv will have the opportunity to participate in the Africa 2018 Forum in Sharm El-Sheikh, Egypt, on 7-9 December and connect with senior government officials, including Head of States, international financial institutions, and potential investors. Our shop and workspace is open to the public. Come on in and say hi to us! We’re in Sar Bet, Addis Ababa just across the compound from Steam Cafe. 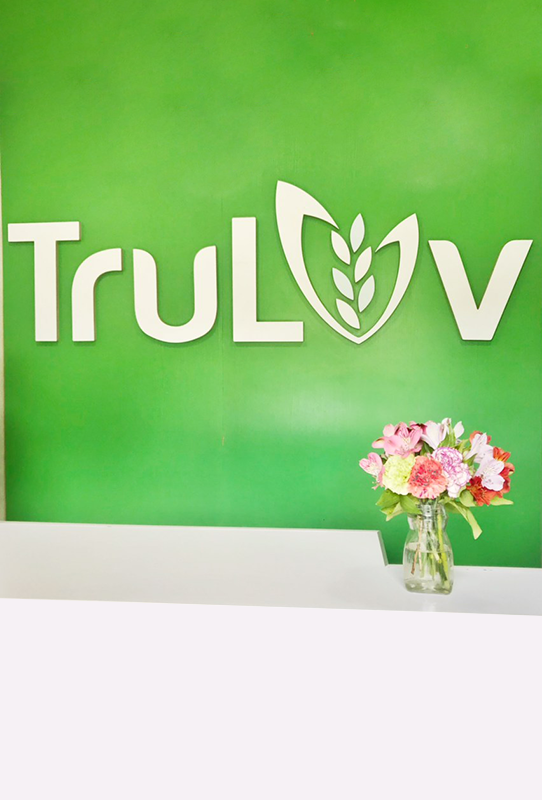 Join the TruLuv list to get updates on where and when you can find TruLuv products and special offers! 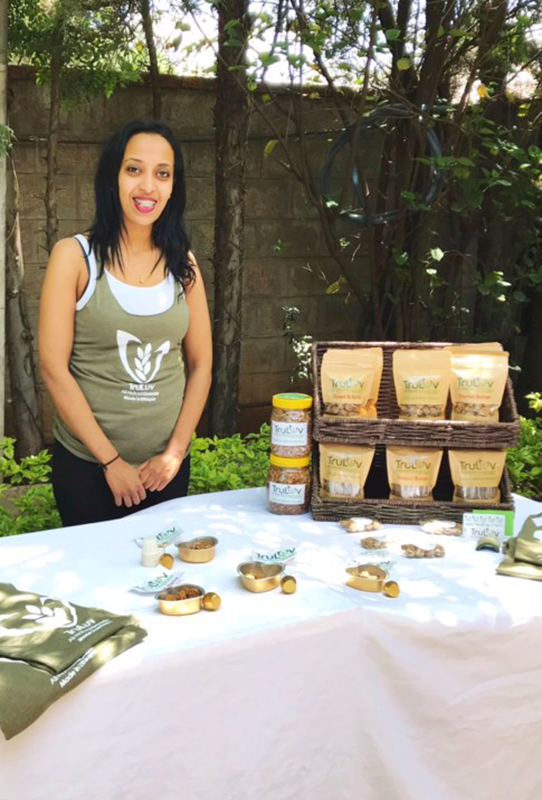 We seek to be the world’s source for healthy, sustainable, and convenient snacks crafted with Ethiopian flavors. Made with natural oats, teff, and sunflower seeds, TruLuv Granola is the perfect snack for everyone. Stop by our shop or find our products somewhere convenient to you! 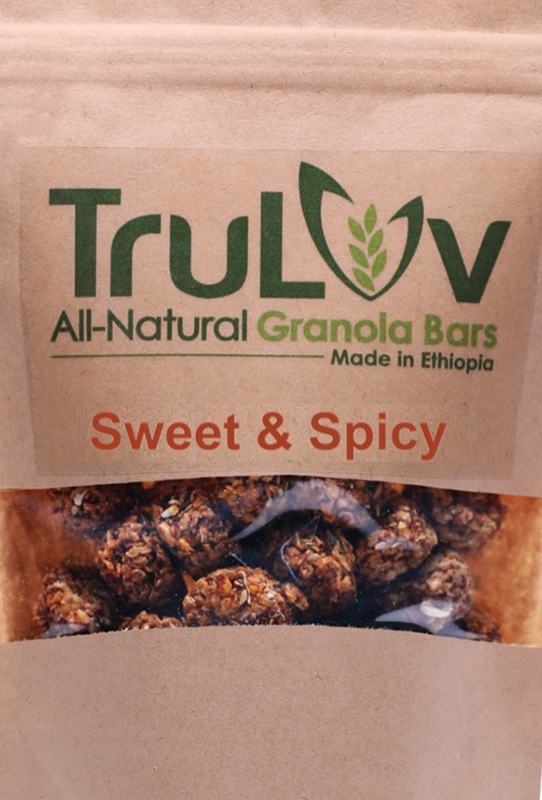 TruLuv Granola’s Now Made with More Ethiopian Oats! Get a Free Small Pack When You Stop by the Shop! TruLuv is Hiring a Junior Manager! We were super pleased to be featured in the July 2017 edition of What’s Out Addis Magazine— our first real media coverage! Have a read and let us know what you think!